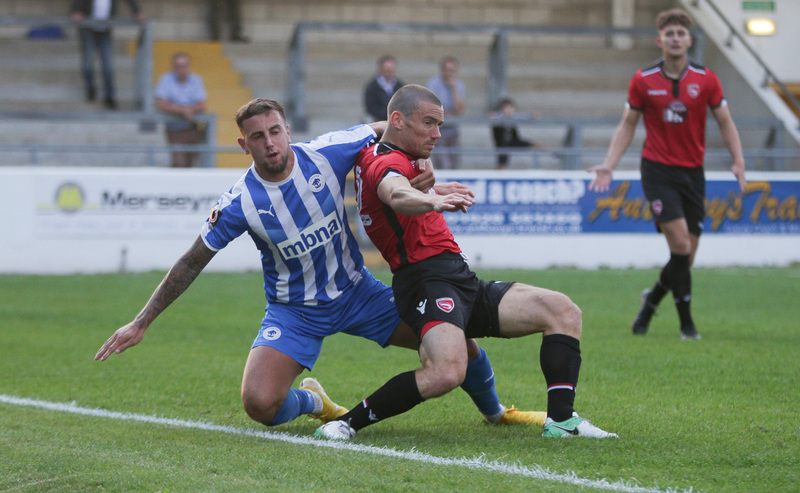 Chester Football Club are pleased to announce the signing of striker Shaun Tuton. Tuton, 26, has been on trial with the Blues this summer, and have been signed by Anthony Johnson and Bernard Morley to further bolster their attacking options – with loanee Anthony Dudley and Deane Smalley also at the Swansway. Shaun Tuton joined FC Halifax in August 2015 following spells at the likes of Matlock, Belper and Buxton. He took his opportunity with the Shaymen and his impressive performances earned him a big move to League One side Barnsley in February 2016. He made seven appearances as the Tykes won promotion to the Championship. Since then, Tuton has had loan spells as Grimsby, Barrow and a return to FC Halifax. Welcome to Chester FC, Shaun!